Barbara Hepworth is a major British artist of the twentieth century. The Art of Barbara Hepworth reveals the beauty and the power of her sculptures, and the ideas which motivated her throughout her creative life. Extensive exhibitions at Tate St Ives and Yorkshire Sculpture Park, and the permanent display at the Barbara Hepworth Museum, provide sumptuous settings for many of the works included in this film. Other sculptures have been specially filmed in the locations for which they were made. 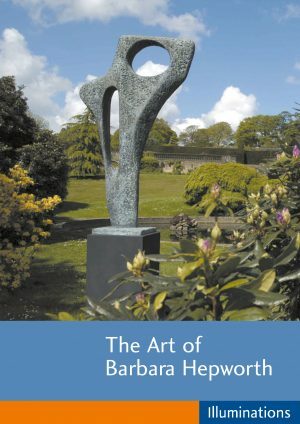 This revealing and complex exploration of Barbara Hepworth’s work features her naturalistic carvings of the 1920s and increasingly abstract sculptures of the 1930s, the ambitious post-war works in wood, stone and bronze, her monumental public commissions and the strikingly diverse creations of her final years. On DVD this revealing and complex exploration of Barbara Hepworth’s work features two parallel soundtracks. One is taken entirely from the artist’s own words, drawn from interviews and letters, and newly recorded by Gina McKee. The other features commentary on Barbara Hepworth’s art from curators Penelope Curtis and Chris Stephens, and from the art historian Sir Alan Bowness, who is the artist’s son-in-law.